Looking for a daily dose of style inspiration on Instagram? 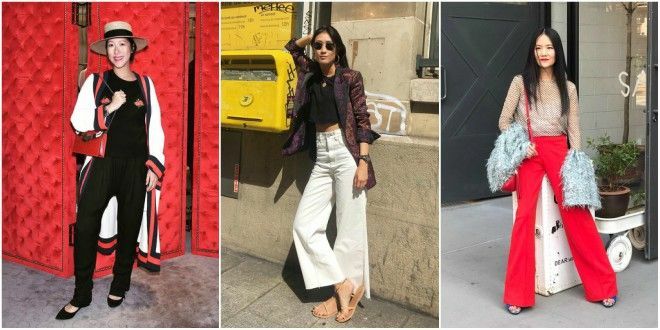 We've narrowed it down for you with a list of 10 hottest Hong Kong stylists to help step up your #fashiongrams. Born in California and raised in Hong Kong, Hong Kong Tatler's very own fashion director, Justine Lee, is a mix of East meets West, having worked in both New York and Asia's fashion scenes. On Instagram, you can find her showcasing her best works from styling magazine covers and jet-setting from country to country, not to mention sitting front row at fashion week. Photographer and stylist, Olivia can do it all. Otherwise known as Andy Lau's personal stylist, her interest in fashion began when she was just 19 years old. On Instagram, you can find her sharing her most creative and stylish shots for celebrities and magazines alike. Having worked in fashion as a stylist for leading brands and celebrities for more than 10 years, Faye made a name for herself in Hong Kong when she started her blog Fayevorite. On Instagram, you can be sure to find an aesthetically curated feed with a focus on not only fashion but on beauty and lifestyle as well. Stylist, freelance art director, style director, and creative consultant—there isn't a title Declan doesn't wear. Known for his niche consistent style, he's a master of knowing a little bit about everything. On his Instagram, you can easily identify his quirkiness, not only on himself, but also on models he's styled. Denise is one of the city's acclaimed stylists and no stranger to travelling around the world to style celebrities, fashion campaigns and editorials. She's since added entrepreneurship to her many attributes since founding her sustainable knitted garments brand, Knotti. On Instagram, you can discover what's new behind in the knitting world and take a peek into her eventful life. Former fashion editor at Vogue China, Grace is a familiar name amongst the fashion industry. As a seasoned and well-known stylist, she's known for her 'no-nonsense' attitude and witty English demeanour. On Instagram, Grace shows off her colourful lifestyle through her outfits and her latest styling projects. Priscilla, the creative mind behind her brand local fashion brand PI'A, is also the founder of fashion styling agency, StyleRegime. You may recognise her as Fashion Director for Asia’s Next Top Model, which successfully kick-started her line of successful fashion ventures. On Instagram, Priscilla is a great source of inspiration whether you're looking for your next outfit pairing or holiday destination. Any look with an edge of colour, print and interesting silhouette usually has Jolene's name written all over it. From styling advertising to editorial and runways, she's become a regular face in the fashion industry. On Instagram, you can admire her showcase of work with big brands like Chanel, Bvlgari and Van Cleef & Arpels. With a unique way of styling, Harry believes in telling a story through pictures. Having started as a graphic designer, it's easy to see the mix between art and fashion that Harry brings to the table. On Instagram, Harry tells his fashion narrative through an organised yet artsy feed of carefully curated images. Stylist, art director and producer, Tasha has worked with world-renowned brands and celebrities. While she loves using colour for styling models, the Hong Kong stylist is more of a neutral shades type of girl. Follow her on Instagram to see which Hong Kong celebrities she's styled, as well as her vibrant works on print for an #ootd inspiration.